Serena Williams has confirmed she will return to action at next week's Aegon International event in Eastbourne. The American, 29, has not played since beating Vera Zvonareva in last year's Wimbledon final. Shortly after winning that event, she cut her foot on broken glass then needed treatment for a blood clot in her lung. Also among the field for the Wimbledon warm-up are Serena's sister Venus and French Open champion Li Na. Venus has not played since retiring in her third-round match at January's Australian Open with an abdominal injury. 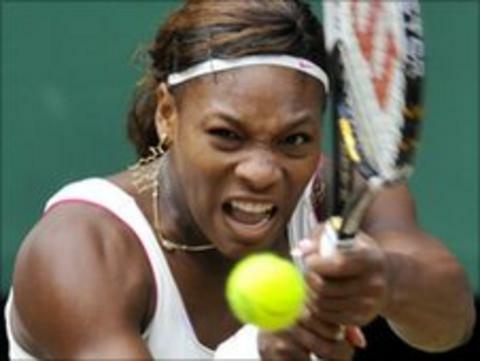 Serena's problems started when she cut her foot in Germany shortly after claiming her fourth Wimbledon title. She played in an exhibition match in Belgium against Kim Clijsters days later but had the first of two operations on the injury when she returned to the United States. The second surgery was in October, followed by 10 weeks in a cast and 10 weeks in a walking boot. "I am so excited to be healthy enough to compete again," she said. "These past 12 months have been extremely tough and character building."